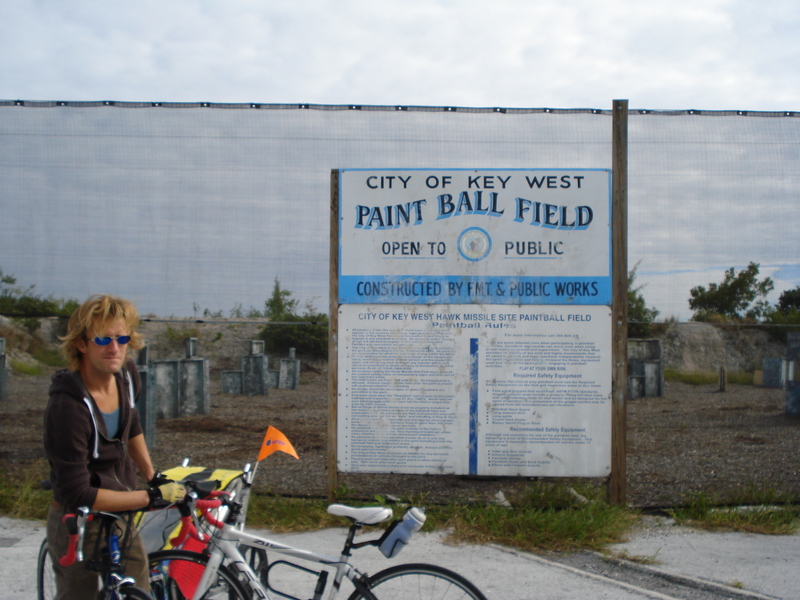 The Key West City Paintball field. 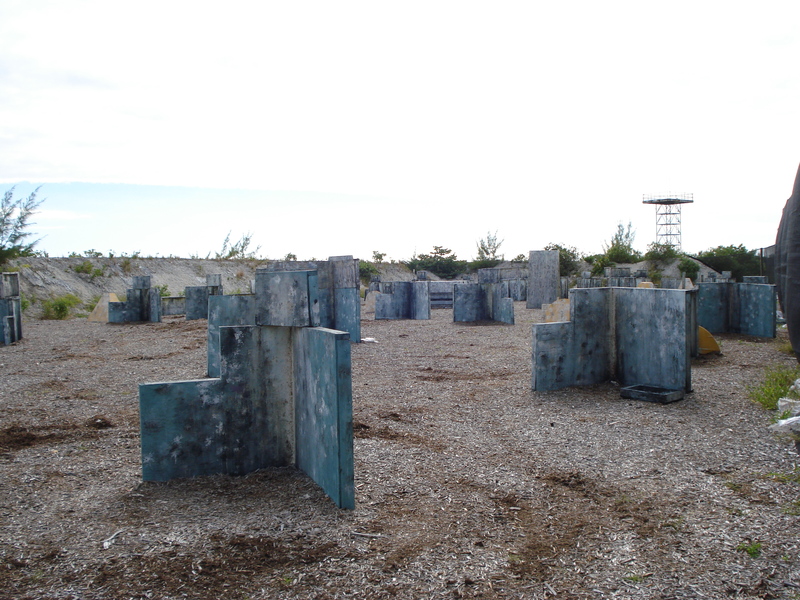 It appeared abandoned and unused, and to me really dreary and depressing, but Zach is already getting excited to play, if he can get anyone to believe it exists. 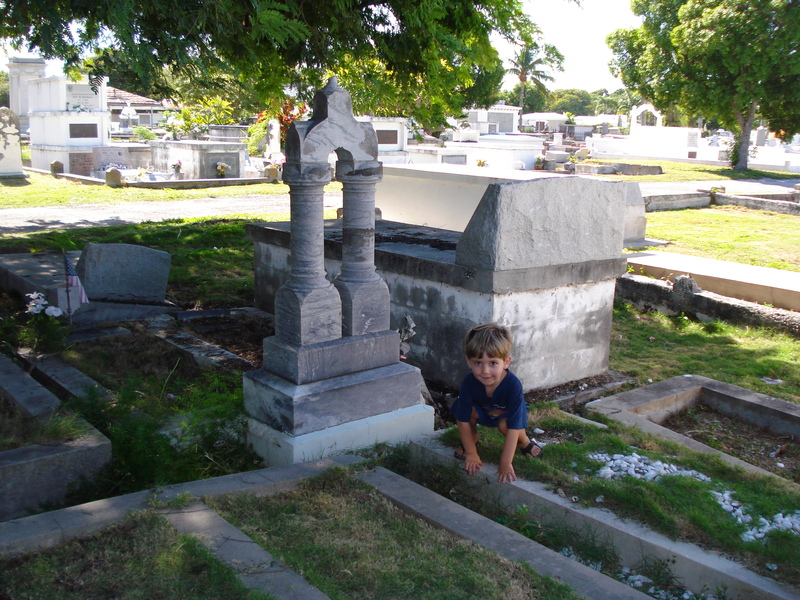 We took the Boogedy to the cemetery to make gravestone rubbings with crayons on paper. I remember doing this with my mom as a kid. The Boogedy thought dancing on the graves was good fun, and I wasn’t ready to explain why he should be solemn and respectful, so we didn’t stay long. I wonder if Grandma will enjoy receiving our rubbings. 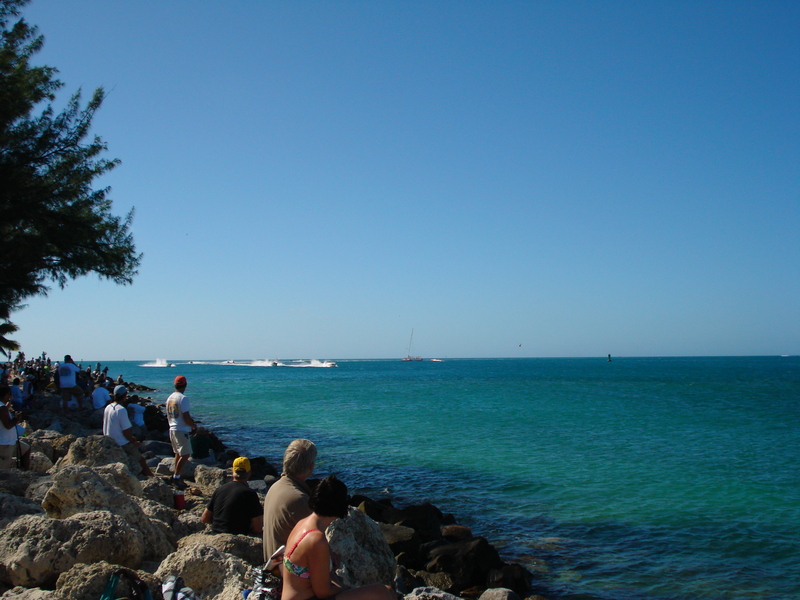 Last week the Power Boat racers were in town and we went to Fort Zachary Taylor to watch them from the rocky shore. We didn’t pull the little guy out of preschool to go, but we will next year because it was awesome! The boats appeared to just skim the water. I thought of my nephew Mike and his family’s love of car racing. I wish he could have seen this! 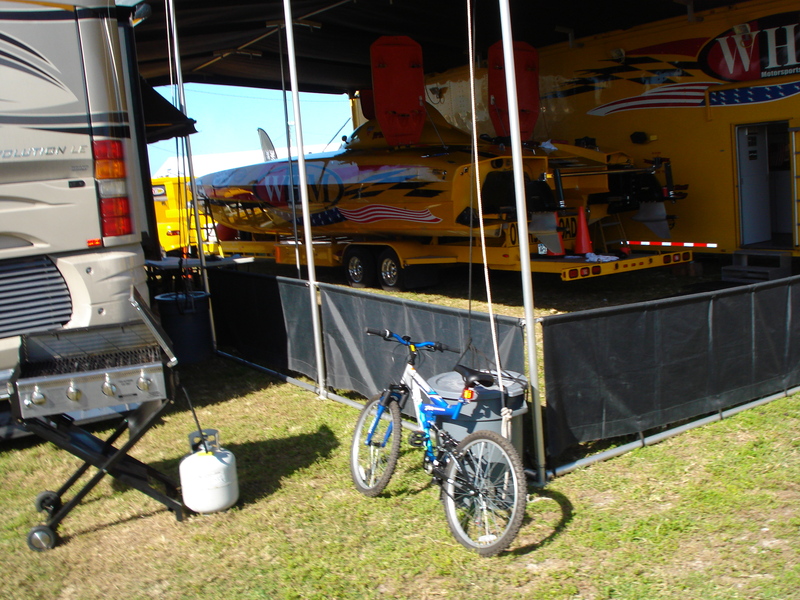 My camera couldn’t get good photos of this event, but I sneaked a peak over a fence and shot this baby with matching trailer waiting her turn. 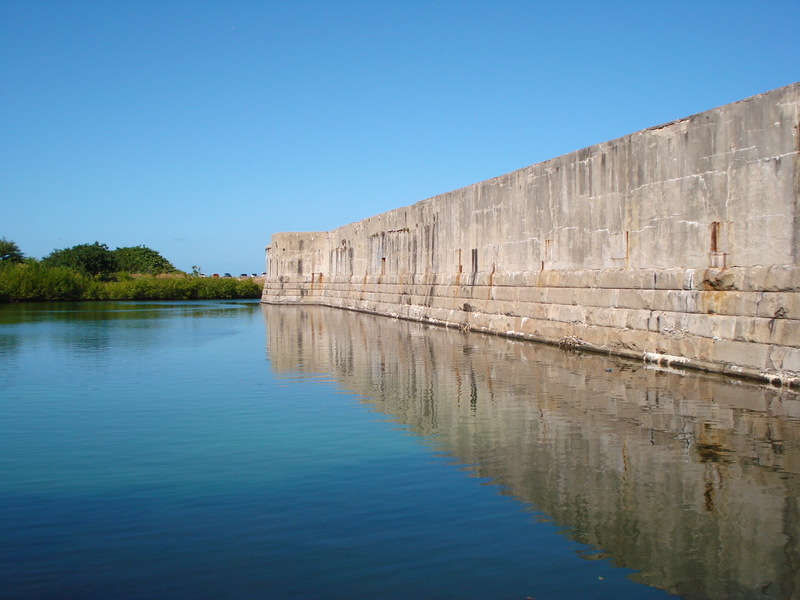 While we were there, we toured Ft. Zach (notice the MOAT!). 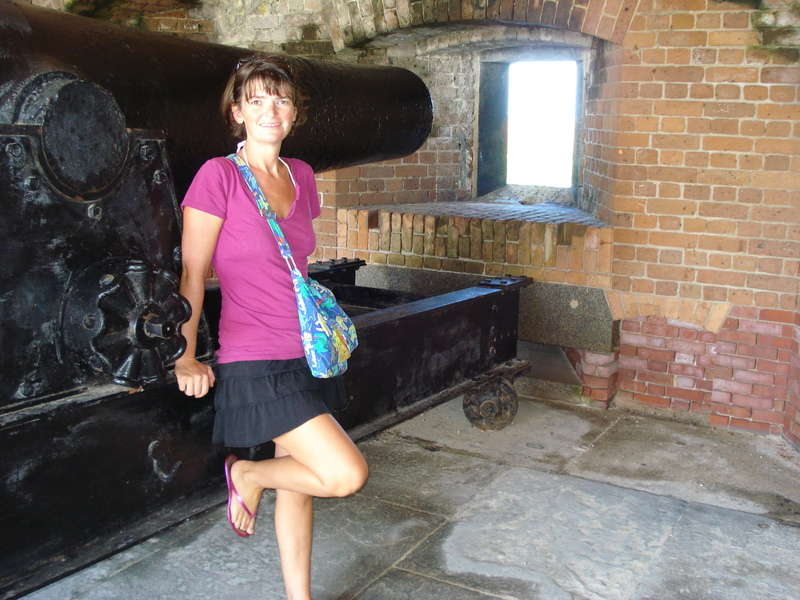 And marveled at the difficulties of using Cannons to try to hit Ships.